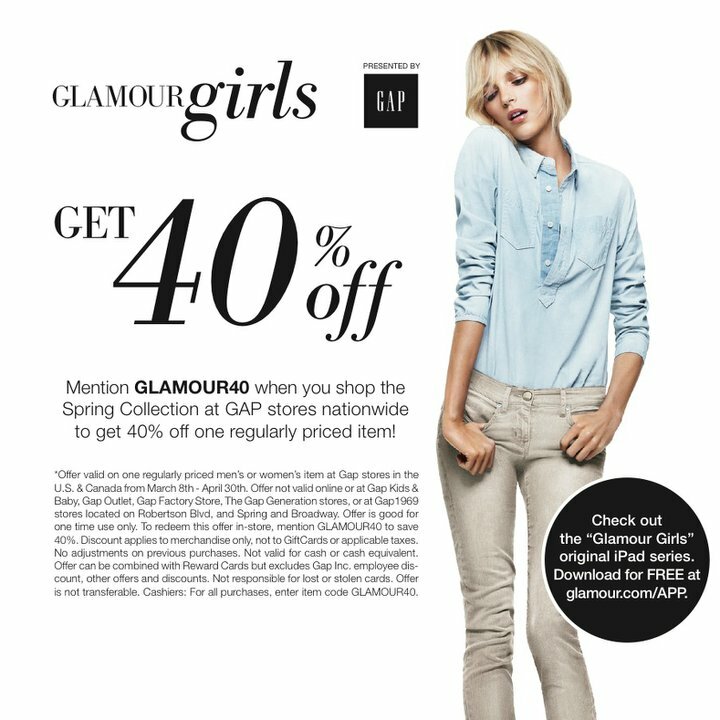 Currently Glamour is running a promo with Gap which will score you 40% off one regularly priced item! 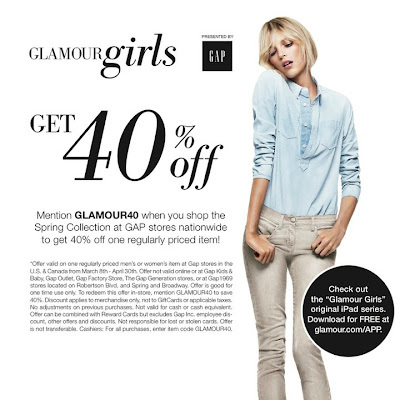 Mention GLAMOUR40 at checkout for your discount. This is in conjunction with the new iPad series "Glamour Girls" now available for free through the glamour.com/APP! We all know that finding a new pair of jeans is not always the best mood booster and I personally often leave the confines of those three way mirrors wanting to cry and in need of therapy. Well thanks to the wonderful folks at Levi's® we can leave the tissues at home! They have created their new Levi’s® Curve ID line, which is based on a woman's shape, not their size! Ingenious! For your custom fitting stop by any Levi’s® store or levi.com today. Finally, jeans for ALL of us!